Among other continents, Asia has amaximum amount of natural resources and diversities. Diversified topography, distinct climate, presences of different vegetation etc. The major economic activities of Asia are agriculture, animal husbandry, fisheries, industries mining minerals, exhuming etc. North Asia consists of Russia and the newly independent central Asia republics and west China. Winters are very cold everywhere. The far north as much thick pine forest, and has a lot of snow. Further south, it becomes very dry: there is a region of grassland called steppe, and there are cold deserts. Tibet and surrounding areas are also very high above sea level, although the land is flat. Population density is low. Mongolia is the most scarcely populated country in the world. Pine forest is used by widespread paper industries. Though not highly developed, agriculture, trade and business are growing. Middle East of Asia consists of the hot desert regions of the Arabian peninsula, the fertile plains of the Tigris and Euphrates rivers and the mountains of Iran and Afghanistan. Most of the people are Arabs and follow Islam. This region is very rich in oil and gas. Infrastructures are much developed and living standard is high. East Asia is the name given to the pacific coast countries of Korea, China, and Japan with a monsoon climate; this is a densely populated area of many cities with more than a million people and many industries. These countries are making exceptionally rapid economic growth both in agricultural and industrial sectors. China produces more rice in the world. East Asia is an area of volcano and earthquakes. Most people are Buddhists. Culturally they are very rich. The Indian Subcontinent is a name given to India, Nepal, Pakistan, Sri Lanka, Bhutan, Bangladesh and island of the Maldives. They are separated from the rest of Asia by the Himalayas. The climate is monsoon, tropical in the south, but with only one season of rain and more temperate in the north. 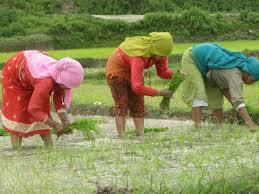 Agriculture mostly subsistence one is the mean economic activity. South-East Asia has a tropical monsoon climate, that of Singapore. There are big dense tropical forest and intensive land cultivation. This area developed very quickly. Once they had financial difficulties and are now recovering. People are mainly Buddhist or Muslim. Countries include Burma, Vietnam, Cambodia, Laos, Thailand, Malaysia, the island of the Philippines, Singapore and the 13000 island of Indonesia. The countries are densely populated- Singapore being the most densely populated country in the world. The north Asia consists of Russia and the newly independent central Asia republics and west China. The Middle East of Asia consists of the hot desert regions of the Arabian peninsula, the fertile plains of the Tigris and Euphrates rivers and the mountains of Iran and Afghanistan. The Indian Subcontinent is a name given to India, Nepal, Pakistan, Sri Lanka, Bhutan, Bangladesh and island of the Maldives. South-East Asia has a tropical monsoon climate, that of Singapore. Name the 8 types of natural vegetation found in Asia. Why are tundra vegetation and coniferous evergreen forest found in central and northern Asia? Northern Asia is very cold for most of the parts of the year. This region experiences short warm summer and long cold winter. High elevated parts of central Asia also experiences similar climatic characteristics except the long winter. The winter temperature of these places goes down from -30 to -50 degree C sometimes. The average temperature of January of the worlds coldest place Verkhoyansk is -21 degree C. These places receive less rain fall. Rainfall mainly takes place especially in summer snowfall in winter. Only coniferous tree can survive in such situation. Somewhere even these trees cannot survive. So these places have tundra and coniferous forest as per the height of these places. Explain livestock of Asia in brief. As agriculture is the dominant occupation of Asian people, animal rearing is done as the supplementary to agriculture. Horse, sheep, camel, yak, pig, goat etc are reared here. Horse and goat are especially reared in steppe. Double humped camel and yak are reared in cold and dry region. Yak and sheep are commonly reared in the Himalaya region of our country Nepal. Single humped camels are reared in Arab dessert. Pigs are extensively reared in china. Japanese and Chinese people rear animals on commercial basis. Cows and buffalo are reared in Indian sub continent and south East Asia. Write in short about fishing in Asia. Fishing is one of the oldest occupations of mankind. Fish are vital source of food especially in the coastal country like Japan. Japan leads the world in fishing whose annual catch amounts to 14.5% of worlds total output. Fishing is leading activity in coastal china, Vietnam, North Korea, South Korea, The Philippines, Indonesia and Russia. Which one is the most sparsely populated country in the world. Which forest is used by widespread paper industries. China produces most of the ________ in the world. South-East Asia has a ______ climate. Which part of Asia is separated by the Himalayas? Any Questions on 'The Economic and Social Life of Asia '?